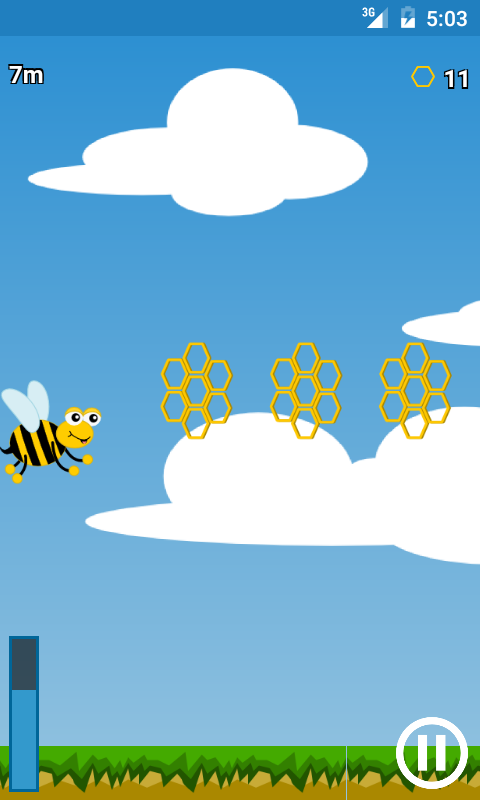 Honeybee Hijinks is a fun and addictive endless flying game for kids and adults of all ages! You are a honeybee who must avoid crashing into walls and the ground while collecting honeycombs. 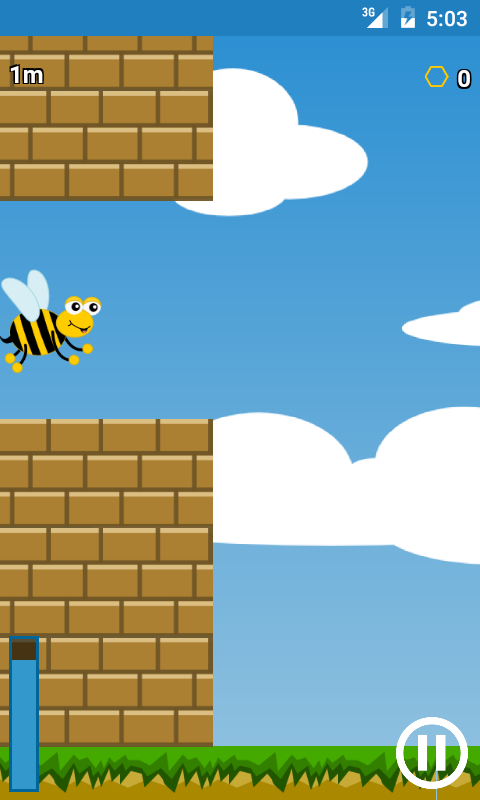 Race for the top score and see how far you can fly! Simple easy to pick up and play controls for fast on the go flying fun. 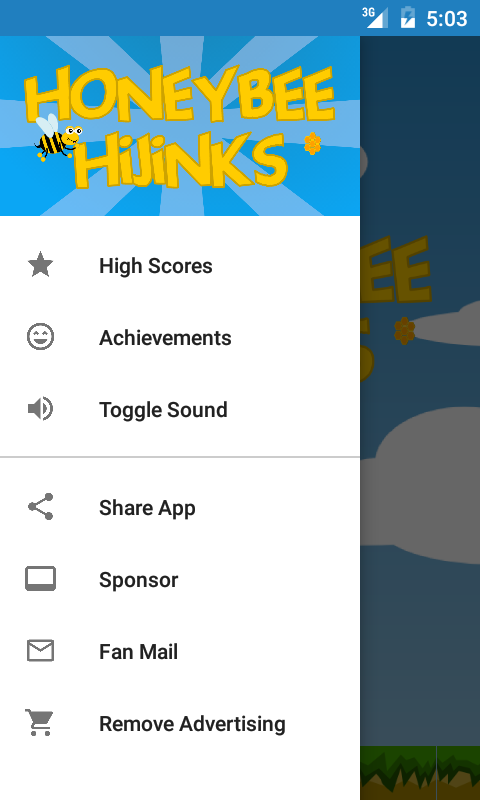 There are also leaderboards and achievements so you can compare your progress with the world! **Special Credit** The music for Honeybee Hijinks came from Kevin MacLeod at incompetech. Search for him online, he's got some awesome tracks!